Lacie Bowlware began playing the viola at the relatively late age of sixteen. Her passion for the study of music led her to her alma mater, the University of Oklahoma. While pursuing her Bachelor’s degree, Lacie was a recipient of the Wayne Crouse Memorial Award, a four-time winner of the Outstanding Undergraduate Violist Award, and a finalist in the university’s concerto competition. Mrs. Bowlware acted as a violist for the university symphony and was also a member of the Collegium Musicum and the Academia Philharmonica, two early music ensembles. During her time at the University of Oklahoma Lacie became an avid chamber musician, performing more than 30 works for various chamber ensembles. Lacie has received prizes for chamber music at the Oklahoma chapter of the Music Teachers National Association competition with the Rotavele String Quartet and has also been fortunate enough to receive coachings with members of the Takacs, Cavanni, and Biava quartets. Lacie relocated from Boulder, Colorado after completing her master’s degree with Erika Eckert and Geraldine Walther. Lacie has pursued summer study at the Brevard Music Center, the Mimir Chamber Music Festival, The Duxbury Music Festival, and The Classical Music Festival in Eisenstadt, Austria. She has a passion for music pedagogy and maintains an active private studio along with holding a faculty position at the Inspiration Point Fine Arts Colony, Kenneth Cooper Middle School, and performs with the Oklahoma City Philharmonic. 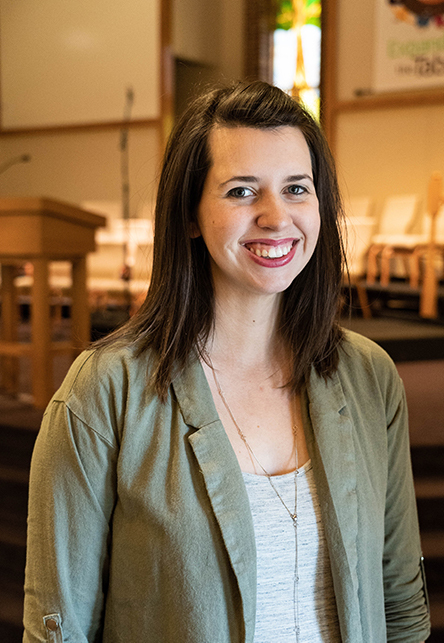 Lacie is married to Interim Director of Contemporary Worship, Ben Bowlware. The two share a dog baby and are expecting their first child in January of 2019.